architecture in berlin surveys the contemporary condition of the city’s built environment, showcasing a range of innovative projects and the diverse materials and unconventional forms employed in their construction. 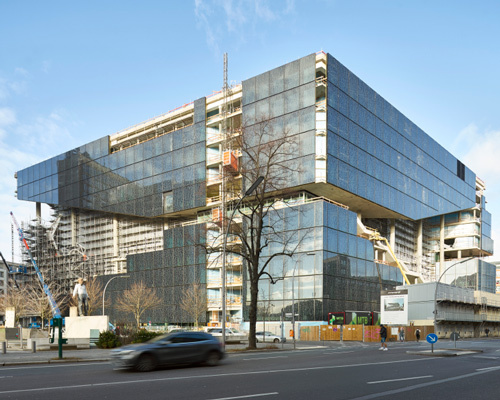 the project has special significance to rem koolhaas, who was a journalist before beginning his architectural studies. 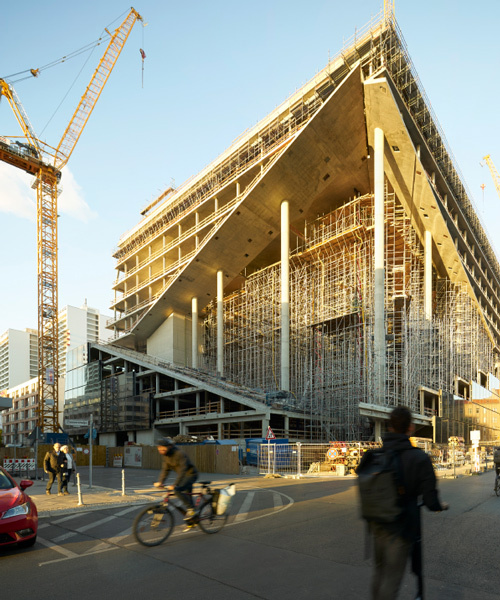 the james simon galerie building is now complete, and has been handed over to local authorities ahead of its public opening in summer 2019.
located between the neue nationalgalerie and the berlin philharmonie, the nationalgalerie20 building looks very different from each side. 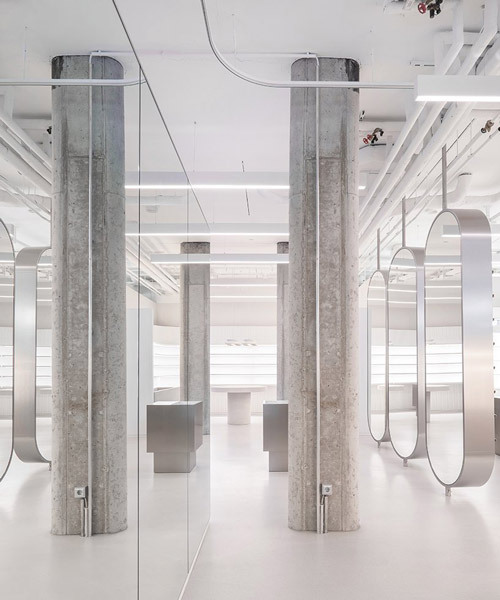 the photogenic space features various unique sculptural elements, such as tailored shelf made of recycled plastic cups, and can be used as a gallery, beauty salon, or photo studio. two cranes hover above the site, while the building's lower levels are beginning to receive their angled glass cladding. the auditoriums are all different colors — while one of them is entirely black — and are illuminated by LED color changing strips. 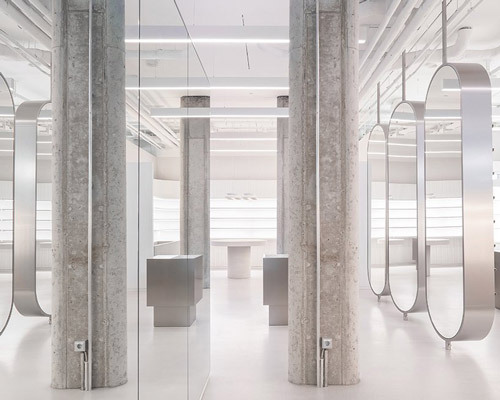 located in the city's kreuzberg district, the private institution opened in 2016 after undergoing a major renovation by john pawson. riku ikegaya’s ‘nested churches’ installation pays tribute to famed architect karl friedrich schinkel’s st. elisabeth church in berlin. its alternating and multicolored façade create a unique silhouette and dynamic visuals. occupying a renovated hall in the heart of berlin, gehry's pierre boulez saal offers a space for classes and concerts in a flexible timber-clad room. the structure uses large irregularly proportioned windows to reference the industrial history of the city's inner courtyards. the apartment shifts between a private home and an artist's residency with exhibition spaces, thanks to a series of monochromatic unfolding furniture. the overhaul will repair all damaged parts of the original building and rectify any pressing safety concerns. rather than offering a 'blank slate', the design seeks to provide built-in tools that curators can use to display a variety of collections. 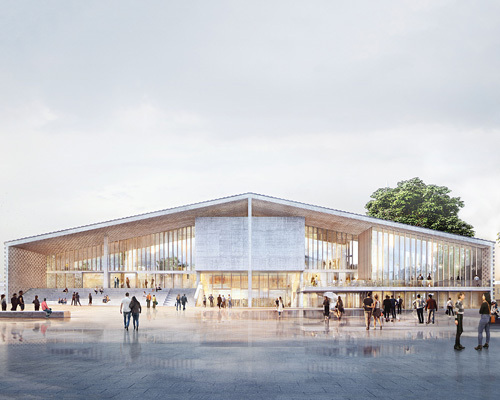 the scheme intends to advance the museum typology, shifting it from 'a passive repository of sacred objects' to a 'space of public exchange'. 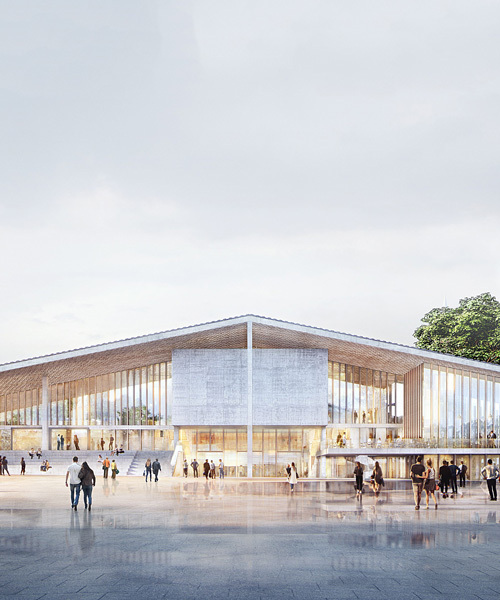 the structure will provide increased gallery space for mies van der rohe's neue nationalgalerie, which has become too small to exhibit modernist art. a series of terraced floors form a digital valley inside the new building which will act both as a symbol and a tool highlighting the company's transition from print to digital media. the project included the conversion, restoration and connection of two apartments in a semi-detached house. the greenish structure blends with plants and trees deep in the gap between neighboring buildings. the building's design features a deep recess from the second storey upwards, opening the structure to the street and ensuring plentiful daylight. 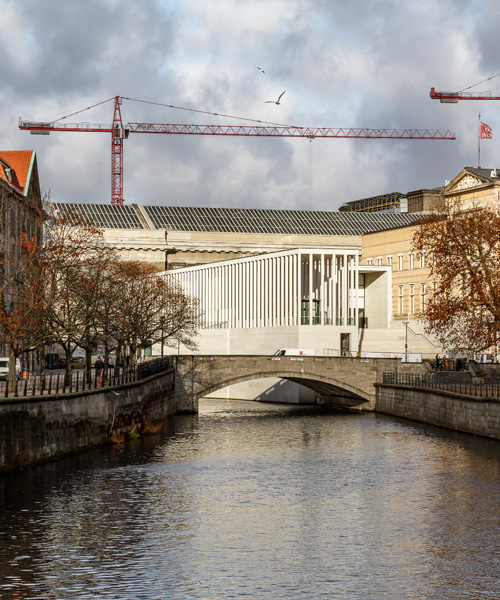 the building will serve as a new entrance building between the kupfergraben canal and the western façade of the neues museum. 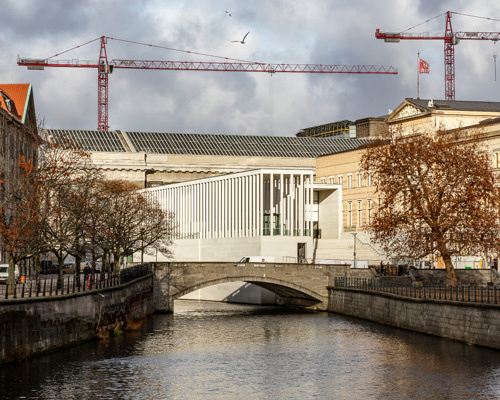 established as the biggest department store in continental europe, the building will be divided into four smaller 'quadrants', each architecturally unique and housed under one roof. situated within walking distance of alexanderplatz, the brewery was severely damaged during the second world war and hasn't been rebuilt since. the renovation transforms the 21sqm flat from disproportionate and disorganized into a well structured, light space with overlapping horizontal and vertical elements that sets the precedent for similar urban spatial quandaries. the densely filled expanse of columns engages with mies van der rohe's original architecture, while simultaneously serving as a prologue to chipperfield's renovation of the museum.